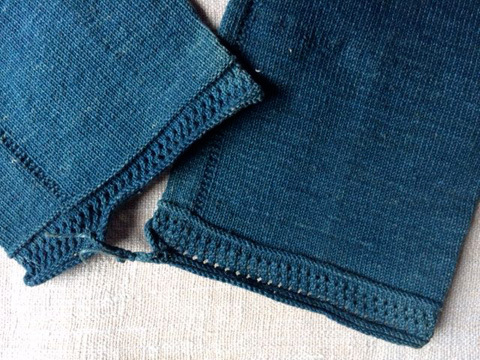 A rare find, indeed, these indigo stockings are to die for! Measuring 21 inches long, they are in blanket-chest, excellent condition. In fact, I don’t think they have ever been worn. 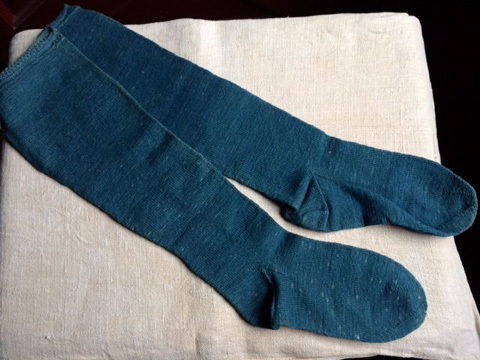 They are even still tied together, such as would have been done after they were first knitted. 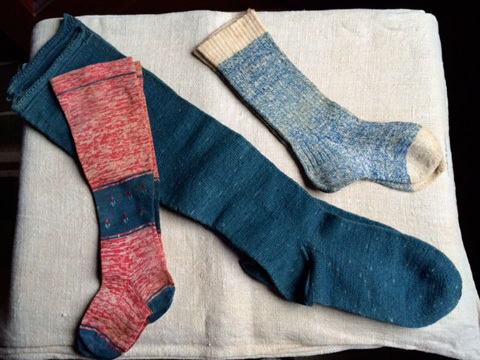 The sheer beauty of this pair lies in the very subtle hues of indigo present in the pair. They are cotton and, because they measure about 5 inches across the calf and the nicely embellished edge across the top, I believe they may have been made for a young girl. With mortality rates being what they were in those times, one can only speculate as to why they were never worn. 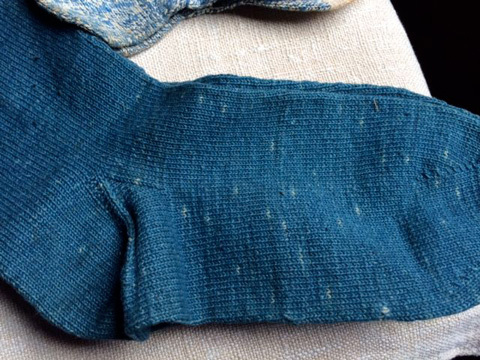 As you know, true early indigo items of clothing are hard to find, especially things like socks. This was the last pair out of a friend’s collection. I’m tempted to hold on to them but, with the renewed interest in early indigo pieces of cloth, I am passing them along for the world to see and someone to collect. Found in New England.